Watsonville, CA - The first thousand visitors to the 2007 Santa Cruz County Fair will take home a special reminder of their day at the Fair. A commemorative pin symbolizing that fateful Tuesday six years ago reminds fair manager Yvette Jordan of the last September 11th opening day which occurred in 2001. "I wanted to give our guests a nice little something on opening day" said Jordan. " A lot of Fair folks like me just love these beautiful little pins. I want to thank Rick Simms of Pacific Coast Specialties for his work on the design." The first thousand adults through the gates on opening day, Seniors Day, will be offered the pins. In addition, the special gifts for seniors also include a $4.00 admission and free ice cream at the Rabo Bank Ice Cream Social. 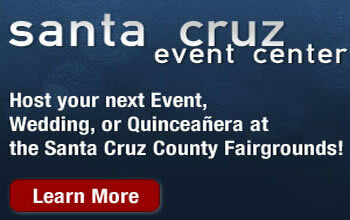 The Santa Cruz County Fair will run September 11-16, 2007. The theme this year is "Barn in the USA."